What is this? Yet another QR code that links to a website, but which has to be accompanied by instructions, in this case in the form of a pictogram that (apparently) says “scan using your cellphone’s radio waves.” Yes, I know, like other pictograms, it’s meant to be ergonomically efficient, a faster way to communicate (“dispose of trash here” or “don’t walk!”). But for whom is this glyph + QR code intended? It looks a little like the Pioneer spacecraft icons that Carl Sagan helped develop in the 1970s for communicating with aliens, etched plates with line drawings that “said” something like “male and female humans on the third planet from the Sun,” sent to eldritch Others who would be capable of decoding the semiotics of the images. But the QR code is encoded data, encrypted for transmission. When it’s included with the image, the example above is reminiscent of the related Arecibo message, which was also beamed out into space, but in the form of a binary string to be decoded into a pixelated pictogram saying the same sort of thing: “We are Earthlings.” In a sense, that is what QR codes like this are doing: beaming out encoded messages to unknown but nominally intelligent life out there on the streets–somebody with a cellphone who can scan with it and thus link the van to the less terrestrial realm of digital data (in this case, just a website). Unlike the subtle artistic gestures and reified metaphors associated with the New Aesthetic, the much-maligned QR codes are useful precisely because they are so crude, because they so nakedly reveal the gesture of connecting data with the physical world, in fact reveal the desire to make that gesture. The New Aesthetic includes glitches as revealing signs of the eruption of the digital into the physical world. 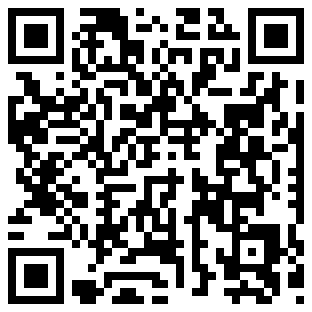 QR codes like this one are visible glitches in the process of eversion itself. Sometimes they’re nothing more than glitches, nothing more than failed gestures. But they’re everywhere, reminding us of what’s at the heart of the metaphor of eruption: the process of encoding/decoding. The QR code + pictogram above may also encode an anxiety about the acts of translation involved in this process–from digital to physical to digital again. That process, with that anxiety, is the point, the semiotic meaning of the image, not the ostensible goal of getting someone who is parked behind the van at a stoplight to point their cellphone at the image in order to open the company website. These codes often feel like someone hopes to communicate with invisible, unknown intelligences out there somewhere in the ether–in the digital realm. I believe the final result of that image was intended to be commentary on how few people actually scan QR codes. Nice. but I want it to link to a picture of someone scanning THIS VERY QR CODE. &c&c.